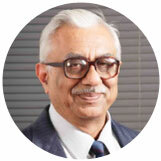 Being a pioneer in the ESD Profession in South East Asia enabled him to establish the Tako Group of Companies, headquartered in Kuala Lumpur with presence in Penang, Malacca, Laguna, Singapore, Bangkok, Hong Kong, Shanghai and Bangalore. 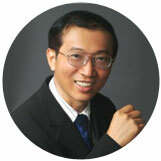 He is an iNarte Certified Engineer with a Doctorate in ESD Management, and has many patents & innovations to his credit. Dr. Albert Kow currently primes the Tako Group in Strategy and Planning. With over 25 years of experience in business and 20 years of experience in ESD Control product and services industry Mr. Keshava Murthy has been driving the operations and responsible for scaling the services to Pan-India.Mr. Keshava Murthy was also instrumental in setting up Cir-Q-Tech Tako’s manufacturing unit in Bidadi, Bengaluru, Karnataka, India. 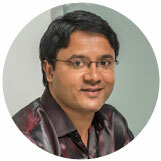 Currently Mr. Murthy oversees the Marketing and business development and mentors the youth to take on newer challenges. 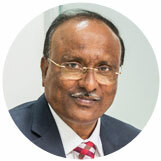 With over 36 years of R&D experience in various fields, he manages the consultancy and pre-sales division at Cir-Q-Tech. He has ably guided the company towards consistent progress in ESD control technology, products and applications. Dr. Nath also manages the services company and spearheads the audits, training and turnkey ESD control solutions to clients. A certified engineer with a excellent business acumen, RajKiran has empowered the growth of Cir-Q-Tech, through new client acquisitions, customer centric sales strategies and increased revenues. Currently Raj Kiran heads innovation at Cir-Q-Tech and also leads the Marketing and Business Development to reacher greater heights. He is one of the few iNARTE certified Engineers in India and contributes his knowledge and Technical skills to ESD Management Consultancy Services, as well. 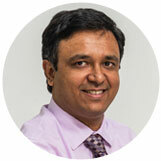 Nanda Kishore brings with him the youth dynamism and contemporary analytics to the Cir-Q-Tech hierarchy. Bolstered with an engineer’s degree in instrumentation engineering, Mr. Nanda Kishore heads the "Ionisation & Instruments" division at Cir-Q-Tech. Nanda Kishore has been instrumental in the grown of the ionisation division, which has grown exponentially since he helmed the role. Nanda Kishore’s vision of materialising systematic and steady sales in his division epitomises a promising future for the company.